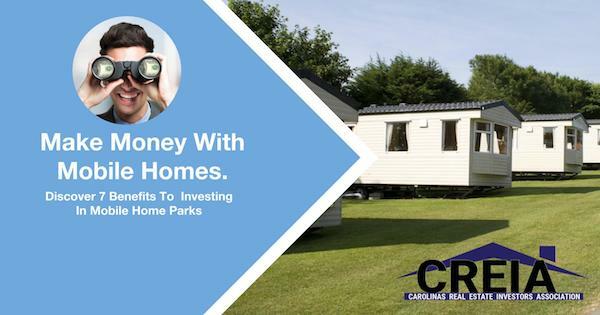 Discover how mobile home park investing provides consistent monthly cash flow and Is largely recession resistant. This special event will feature a panel of real estate professionals focused on investing and profiting from mobile homes and mobile home parks. After telling a bit about themselves and their experiences with mobile home investments, panelists will field questions from members in what’s certain to be an informative Q&A session. How does mobile home investing differ from a stick built or modular home? What are the special maintenance issues with a mobile home? Are mobile home tenants different than single family home tenants? How do you find mobile homes in which to invest? How do you find mobile home parks in which to invest?